Last month Mr RK and I went south for a little anniversary holiday to Baja Mexico. I had a salad for lunch one day that would have knocked my socks off, had I been wearing any. 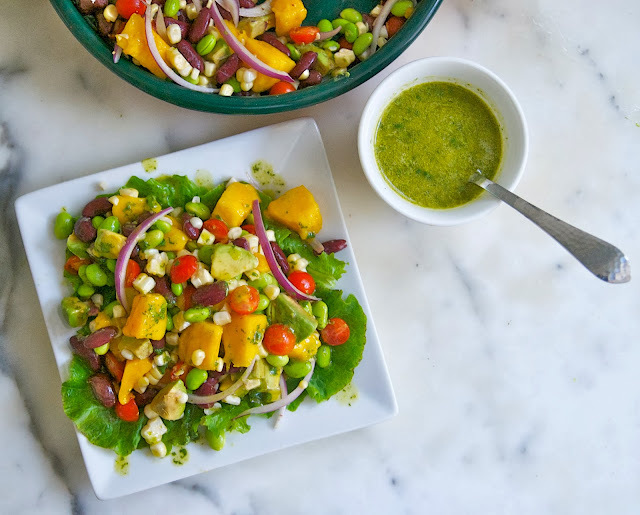 Filled with fragrant roasted corn and large chunks of fresh avocado and mango, it was topped with a delicate lime cilantro dressing. It was so delicious that I went back and had it again. On the second trip, I complimented Chef Izzie and asked him about the ingredients in the dressing. My Spanish language skills are very lacking and his English skills weren't great or he wasn't willing to give me the details but I was determined to try to recreate this delicious dish when I got home. 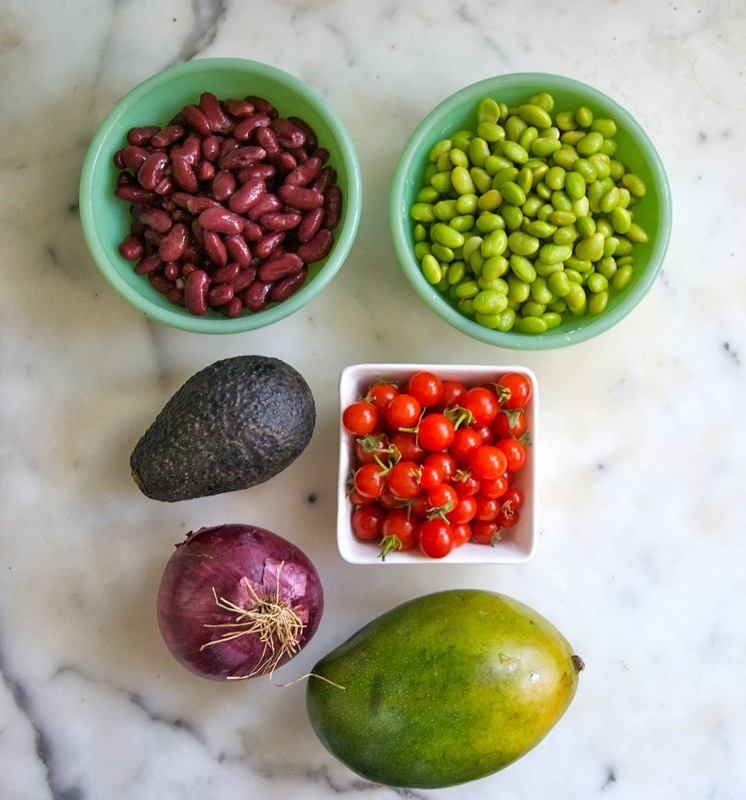 The salad ingredients were fairly obvious: kidney beans, edamame, corn, mango, avocado, cherry tomatoes, red onion and romaine lettuce. Chef Izzie roasted the fresh corn and cut it from the cob. You can do this one of two ways, roast it on the coals of your BBQ or you can roast the corn in your oven over a very high heat. 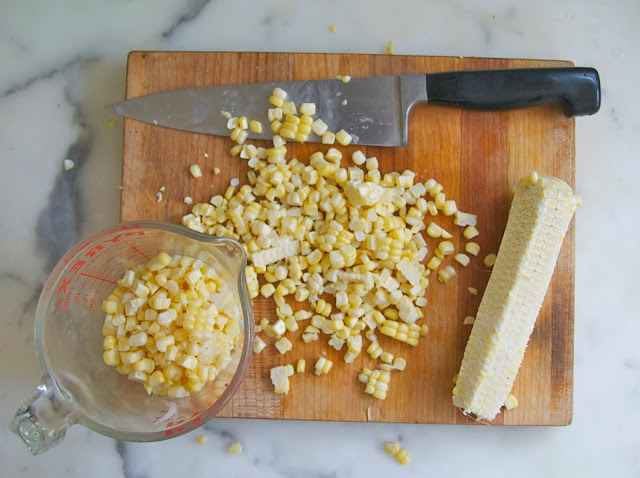 Roasting the corn gives it a wonderfully complex flavor, but it does add another 30 minutes to the prep time. 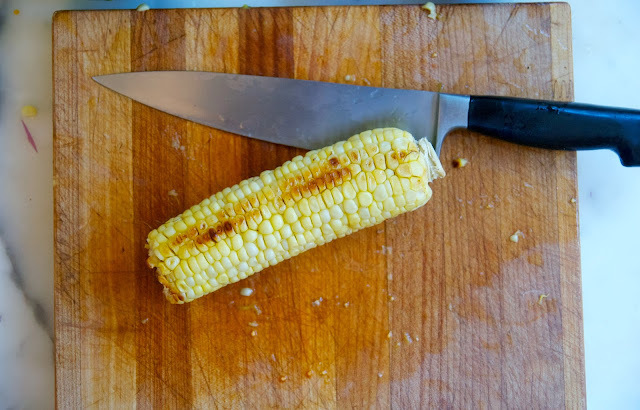 A third option is to just cut the corn from the cob without cooking it. Fresh corn on the cob is so sweet and delicious that it really doesn't need to be cooked. Lots more enzymes when it's raw. I've made this salad both ways and it's just as delicious. The salad dressing was more difficult to copy. 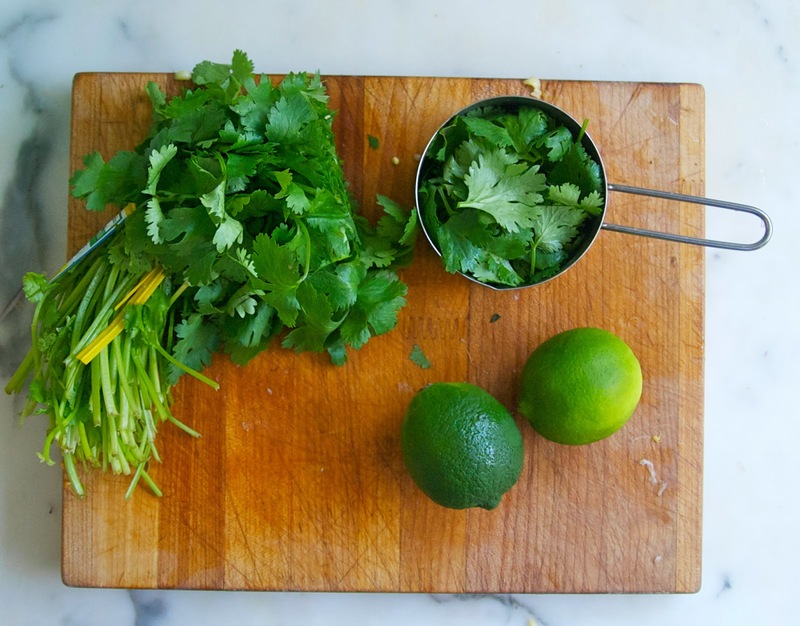 I ended us using olive oil, fresh lime juice, lime zest, a little honey (you can use some light agave to make this vegan) salt and fresh cilantro leaves. I'm not sure I got it exactly right but it works. I do recommend that you carefully toss all of the salad ingredients first and dress it before you serve it. 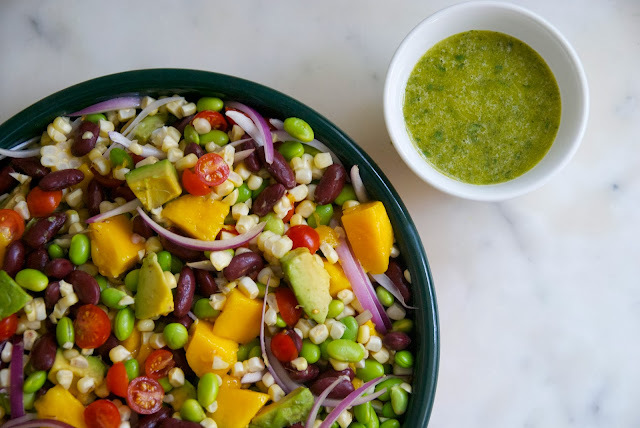 One reason is that the more you toss it, the more the avocado and mango break down and the second reason being that any leftovers will keep much better undressed. 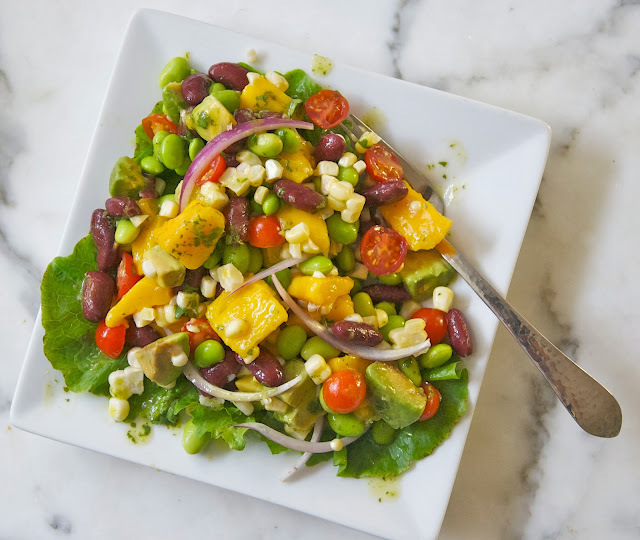 You can serve this as a side salad on a bed of lettuce or add you favorite protein and make it a meal. Mix all of the ingredients together except for the lettuce. Place a bed of lettuce on each plate and top with the salad. Put all of the ingredients into a blender or food processor and process for 30 seconds.